Today, whether you know very about database or may not realize it. But it impact your daily life very extensively. Your grocery store, bank, restaurant, online shopping sites, hospital, favorite clothing store and mobile service provider, for instance all use databases to keep track of customer, inventory, employee and accounting information. 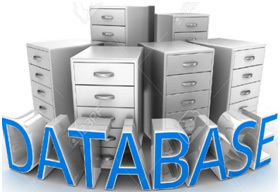 Databases allow for data to be stored quickly and easily and are used in many aspects of your daily life. To perform all the above mentioned operations we require DBMSs behind the scenes. Databases are responsible for many of the services you utilize daily. We have collected a few of the more well-known examples of how databases enhance your day-to-day life below.According to LeventOrman, “Database application systems are designed to collect, store, retrieve, process, and present large quantities of information.” While this definitely applies to business applications, it can also be applied for personal usage as well. We deal with “large quantities of information” all the time, so why not use databases to organize it all and help us improve ourselves? These days, there are many applications and devices that help us improve various aspects of our lives. 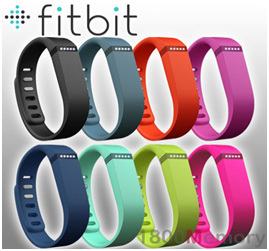 For instance, many people use some form of fitness tracking device or app, such as the Fitbit wristband, MyFitnessPal and yoga studio app etc. The way these app or device works is that it tracks your daily activities: how far you have walked and/or run in a day, how many calories you have burned, how long you have slept, etc. they creates a database of all your activity and can visualize it by making a graphical analysis that is viewed either through the app or website. Through this personal database, the user is able to track their fitness progress. Personal databases are not only used for tracking health and fitness, but also for tracking and maintaining other things like finances. A popular apps for dealing with finances areMvelopes, Quicken and Mint etc. These app tracks activity involving the user’s bank accounts, credit cards, investments, and more. These app like the fitness app creates a graphical display of the user’s spending habits, allowing the user to clearly see what they spend their money on the most. These app also helps the user visualize their budget in order to help save money. By creating a visual display of the information stored in the database, these app helps users understand where there money is going and how to save more. There are number of tutorial websites that can help you to learn the database and create your own database as per your requirements. Few of them are as follow. Also there are number of open source and freeware DBMS available for learning and using DBMS features. Some people have even gone beyond simply purchasing an app or device and created their own databases in order to improve their personal lives. Many people believe that databases are just meant for more complex business purposes when in fact, they can also help us with our daily lives. Although databases have the capacity to help run a company, they can be used on a smaller scale to help many of us improve different parts of our lives.